Linwood House provides residential accommodation for adults (over 18). 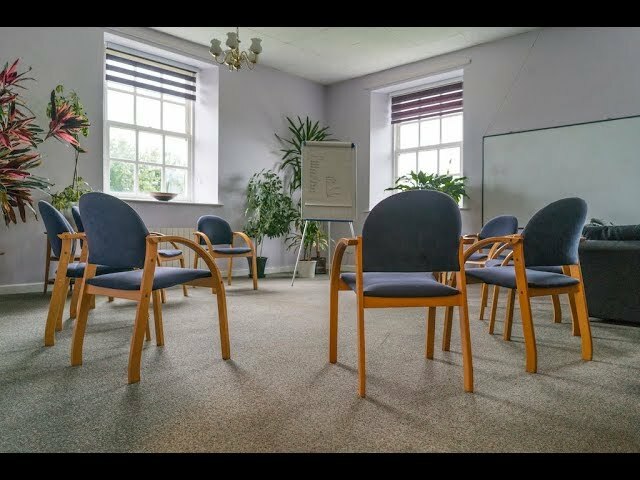 Linwood House provides medical detox for drug and alcohol addiction. Our detox service can accommodate 20 people and is within the upper floor our main house. This is a secure unit and residents are restricted to this area throughout the detox period. Our rehabilitation service caters for up to 14 people and residents have access to the grounds, sitting rooms, therapy rooms, dining area and laundry. Each resident has their own single bedroom. Bedrooms are simple yet homely and all have en-suite toilet and sink facilities. Multiple lounge areas provide bright and comfortable spaces to relax and socialise which is important for recovery as the nature of addiction can be very isolating. TV, DVD’s and reading materials are provided with the downstairs sitting rooms having French Doors leading out on to a seating patio area and gardens. All meals are freshly prepared on site by our on-site chef and area eaten in the dining room. Healthy snacks and drinks area available at all times.